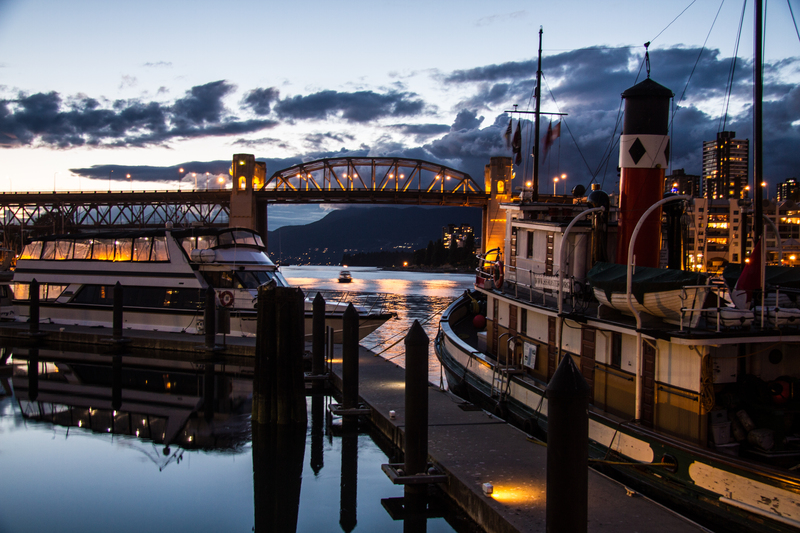 I spent last night doing my first ever Vancouver Photowalk at Granville Island in Vancouver. We met for 9 pm, and introduced ourselves, and headed on what was going to be two hours of learning new things about photography, night photography, exposures and various other things I learned. I just recently purchased a Canon 7D camera, and having just learned I will not be allowed to scuba dive anymore, the one true passion I have. I decided it was time to follow my other passion and that is Photography. So, after a quick search on the Internet I found Vancouver Photowalks, where they offer various Photowalks around Vancouver for a mere $99.00. I was skeptical at first, but after a couple of minutes on the Photowalk I new this was going to be a great evening. They also offer Group Rates for groups of 1 – 3 and then 1 – 4 and from what I can tell the private rates are very reasonable as well. If you find you have a couple of hours free, and want to learn something new, try these guys out and do your first Vancouver Photowalk, I don’t think you will disappointed! !